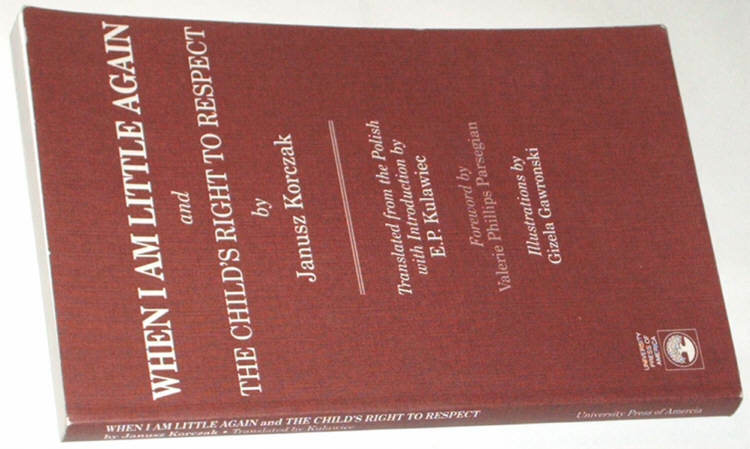 Korczak, Janusz: When I Am Little Again & The Child's Right to Respect. Lanham, New York, London: University Press of America October 1991; © 1992. ISBN 819183075. 22 cm, oprawa kartonowa oryginalna, 186 s. PB, Fine as New. Stan idealny, książka jak nowa. Masa egz. : 250 g.
Tytuły tekstów oryginalnych: "Kiedy znów będę mały" (1925) i "Prawo dziecka do szacunku" (1929). 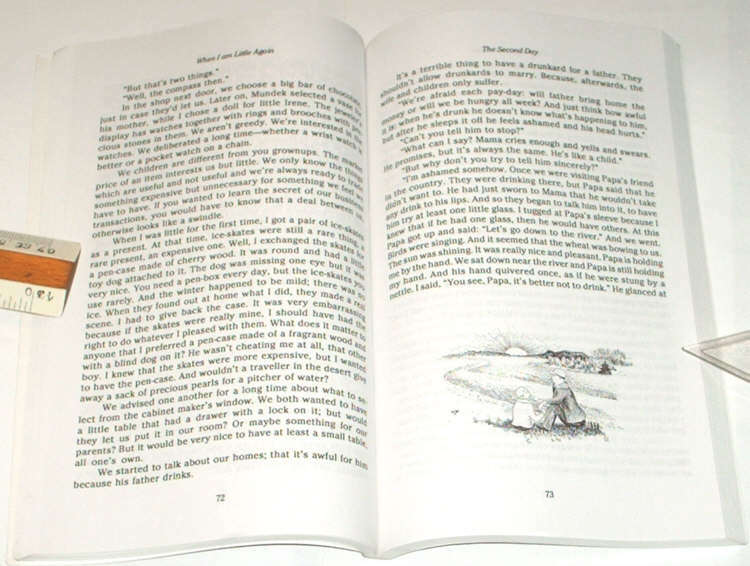 Translated from the Polish with Introduction by E.P. Kulawiec. Foreword by Valerie Phillips Parsegian. Illustrations by Gizela Gawronski. These two works belong to that group of books written by one of this century's fiercest and most devoted child advocates. In the first, Korczak uses fiction to reveal the joys and sorrows of a child, a ten-year-old, juxtaposing them against the feelings of an adult as they both react to two days of adventure spent together. Two prominent themes in his writing are the exploration of the place of children in an adult world and the examination of the treatment and regard children are accorded in that world. 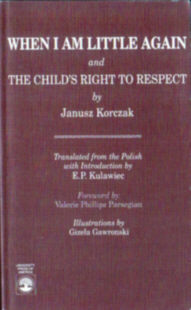 In his second book, Korczak spells out his "Magna Charta Libertatis" in defense of the child's right to respect, right to be him or herself, and, most importantly, right to respect for the strenuous effort expended in the process of "growing up.". EAN 9780819183071. LCCN 91003759; PG7158.G662 A24 1991. WorldCat: 24749465, 23771273.